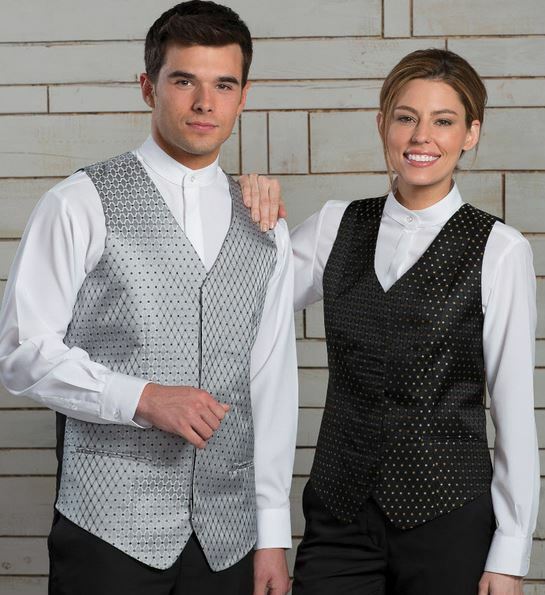 Jackets and Vests for Men – Your clients expect to see well-dressed staff members at your location, so make sure every gentleman on your team looks the part with our vests and jackets. Many of these selections are available in great colors to match your business color schemes. Jackets and Vests for Women – Don’t forget about your female staff members. Women working at the front desk or taking care of your high-end clients need to look their best. Our vest and jacket selections feature great options that are cut for women. Pair any of these vests or jackets with our shirts, ties, and scarves. Don’t wait to purchase new uniforms for your staff members, take a look at the great options we sell here and place an order online. When you order hospitality uniforms from our online business, you can feel confident that you are receiving some of the best options available at a price that will fit your budget.